Alcatel-Lucent introduced a new series of IP routers designed for smaller locations in large-scale IP networks, or to serve as a full-service router for smaller networks. The new 7750 SR-e service router, which is based on the company's 7750 Service Router (SR) family, FP3 silicon and Service Router Operating System (SR OS) software , delivers full IP edge routing capability in a mid-size form factor. The new 7750 SR-e platform is also cloud-ready and a key element in Alcatel-Lucent’s portfolio supporting the evolution of networking to NFV and SDN. Three form factors are being introduced: SR-1e (400 Gbps), SR-2e (800 Gbps) and SR-3e (1.2 Tbps). Supports GE, 10GE and 100GE interfaces. 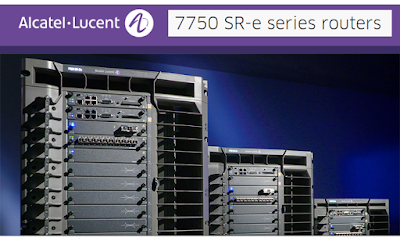 The routers sit between the 7750 SR and 7750 SR-a. The SR-e series fills the demand for a lower end 100G-capable box but offers more capability than the SR-a variant. Has a unique chassis air flow design for efficient cooling and reduced fan noise while paving the way for future capacity growth. Higher capacity systems run hotter, so a future-proof thermal design is critical for continued investment protection. With these advances, the SR-e platforms have a fully NEBS-compliant design purpose-built for the most stringent central office and co-location facilities. “We continue to evolve our IP hardware and NFV portfolio in anticipation of our customers’ requirements. Our ‘Network Function Optimization’ approach recognizes that virtualized and integrated routing solutions will be required for different applications, and that choice will be dictated by the economics and architectural preference of each network operator. 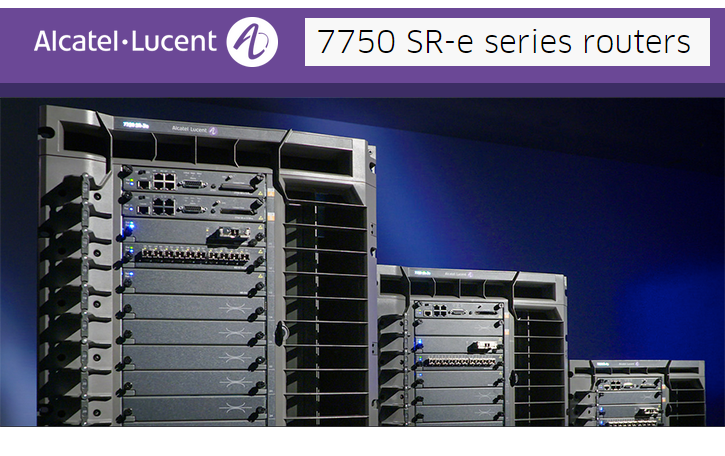 The success of our 7750 SR-a series affirms that we are on the right track and that customers will require even higher-performance, high-function, QoS-intensive IP services on specialized hardware routing platforms. 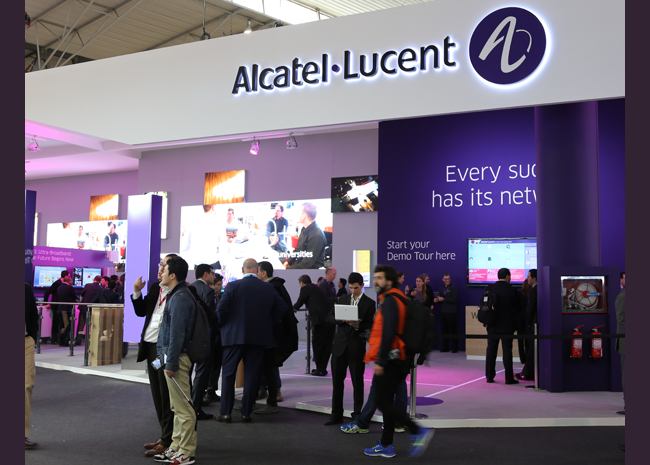 With our cloud-ready 7750 SR-e series, customers have even more flexibility to strike the right balance for their network,” stated Basil Alwan, president of Alcatel-Lucent’s IP Routing and Transport business. The fourth release of ONOS, the open source SDN networking operating system for Service Provider networks, is now available for download. The new "Drake" release adds a number of significant new features and enhancements for further SDN and NFV use case enablement, including new security, configuration and application level feature sets with improvements to the northbound and southbound including REST, API and GUI additions. By default, ONOS’ GUI and REST-based interfaces are now secured. SRI International and KAIST developed an early implementation of secure bundles called Security Mode ONOS for Drake. Transport Layer Security has been added for the east/west-bound communications and the Command Line Interface can also be secured for authenticated password-less access using public/private keys. Building on top of the general tunnel subsystem Huawei previously contributed to ONOS, the company has laid the foundation for future VXLAN support by supplying a VTN manager and VXLAN tunnel setup that aligns with OPNFV standards. 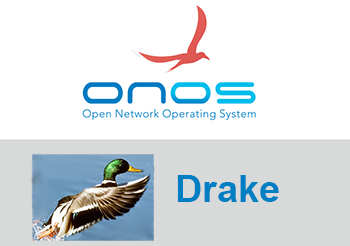 Drake delivers the functions and building blocks required for ONOS to merge with the next version of OPNFV and will allow future use cases including NFV management and orchestration and the delivery of VNFaaS. ONOS’ OPNFV functionality is the result of collaboration between these two vital open source communities. ETRI delivered a subsystem for adaptive flow statistics collection to smartly sample flows without overwhelming the collection system as flows increase with scale. Criterion Networks contributed an IPv6 intents test suite available to the community to support apps while building on top of ONOS’ IPv6 support. Ericsson contributed the beginning of an analytics subsystem that collects data and stores it in a database so it may be analyzed and fed back into the system as automated actions. This specific Ericsson contribution is targeted for ONOS’ CORD use case to take information from the Central Office Re-architected as Data Center (CORD) so ONOS can feed actions back into CORD. Drake adds GUI topology overlays for improved link highlighting, secure login via user interface, a virtual network resource manager, and a new DHCP server app capable of operating in an OpenFlow SDN environment. Drake adds the building blocks for a new northbound intent abstraction that will simplify the setup of cross domain constructs, or flows, and allows users to more easily address a particular domain with an intent. Fujitsu provided extensive assistance with Drake’s northbound and Huawei provided the OpenStack Neutron ML2 interface. In the southbound, Drake adds YANG ACL for NETCONF from Happiest Minds and PCEP and OVSDB plug-ins from Huawei. Drake begins laying the foundation for IGMP snooping with PIM-SSM and Multicast forward app enhancements from DirecTV; OpenFlow QoS meter support; and a metrics collection subsystem to collect information from devices and ports in the data plane. Drake also adds a new configuration subsystem that enables the configuration of multiple apps instead of having to use individual configuration files for each one. This delivers a central configuration utility so that operators can go to one place and setup configuration, not just for the ONOS’ core but for all apps. The new subsystem makes it much easier to deploy and manage apps, enables simplified use and will allow easy access to a more diverse app ecosystem. In addition to contributing to ONF’s Atrium, ONOS has expanded collaboration with other open source communities to develop new distributions including work with the CloudRouter Project and it will soon be part of the Open Platform for NFV Project (OPNFV). The Waveserver leverages Ciena’s WaveLogic 3 Extreme chipset to provide 200 Gbps wavelengths at greater than 1,000 km distances and 100 Gbps wavelengths in excess of 10,000 km. 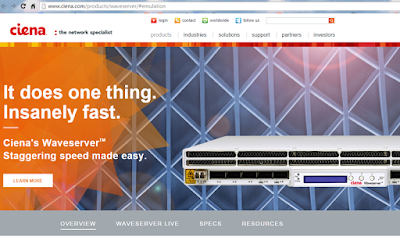 Waveserver is in customer trials and will be generally available in October 2015. Long-haul optics capabilities on the platform are expected to be available in the first quarter of 2016. “A direct response to customer demand on the heels of our Waveserver introduction earlier this year, the enhancements that support DCI for any distance deliver another industry first in coherent technology and overcome the DCI capacity and distance trade-off paradigm. Competing platforms lack the high-performance of our WaveLogic Extreme chips and its breadth of advanced network monitoring and optimization capabilities,” stated Francois Locoh-Donou, Senior Vice President, Global Products Group, Ciena. In May 2015, Ciena introduced a new data center interconnect (DCI) platform that allows cloud, Internet content providers and data center providers to quickly scale bandwidth between facilities. The Waveserver stackable interconnect platform is designed to support high-speed data transfer, virtual machine migration and disaster recovery/backup between data centers. The compact, stackable server design supports 19.2 Tbps per fiber on a 50 GHz and is powered by Ciena’s WaveLogic technology. It provides a total of 800G of input and output made up of 400G Ethernet clients plus 400G of line capacity in one rack unit. Client interfaces include 10 x QSFP+ (40 x 10GbE; 10 x 40GbE); 4 x QSFP28 (4 x 100GbE). An independent study of 500 small and medium-sized businesses in the UK and US has found that 43 percent of all respondents would be willing to purchase cloud services from their incumbent service provider. 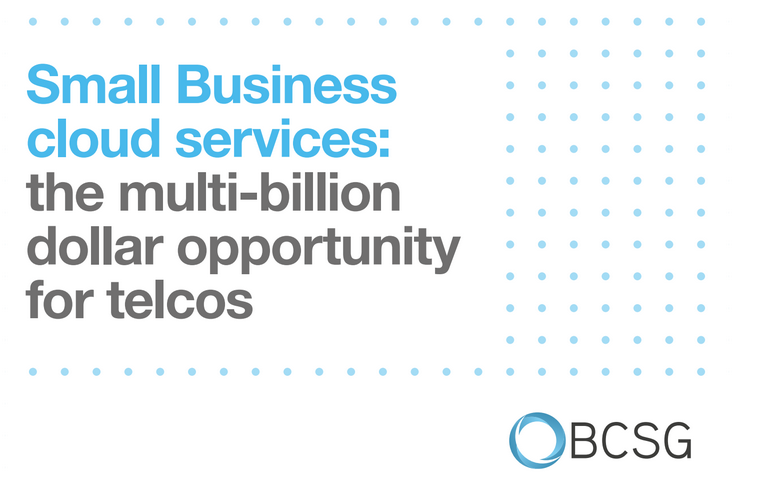 BCSG, which provides a cloud services marketplace for Service Providers and conducted the study, said telecom operators are ideally placed to benefit from surging demand for cloud services. The survey also found that 40 percent of UK and US SMBs are openly willing to purchase software and tools from operators to help them grow their business. 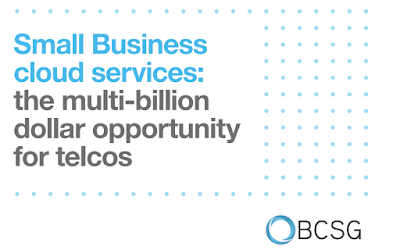 52 percent of SMBs will contemplate switching operators in the next two years. TIM has implemented new microwave links between the Sicilian islands of Pantelleria and Lampedusa using Alcatel-Lucent’s 9500 Microwave Packet Radio platform. 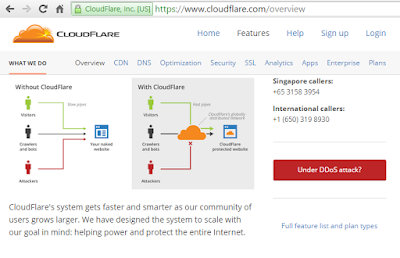 Cloudflare, a start-up based in San Francisco, announced $110 million in funding from Microsoft, Google, Baidu, Qualcomm and Fidelity. 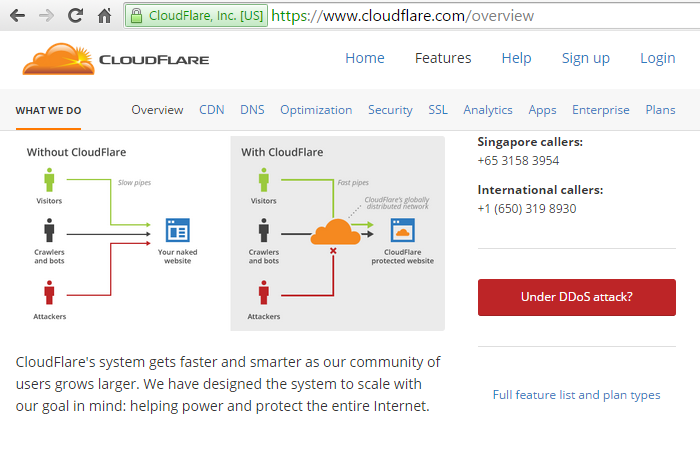 Cloudflare offers website supercharging services, including a CDN, content optimization tools, DNS, DDoS protection and analytics. The company said it is now delivering nearly 1 trillion page views each month across 4 million Internet properties. Emirates Data Clearing House ( EDCH ), the region's largest mobile services Data Clearing House provider, has launched the region's first WRiX-capable (Wireless Roaming Intermediary Exchange) Wi-Fi Hub for International Wi-Fi roaming and domestic mobile data offload services. The EDCH Wi-Fi Hub, which is based on Accuris Networks' AccuROAM Platform, addresses key issues faced by service providers in delivering Wi-Fi roaming services, such as the time-intensive process of identifying Wi-Fi providers, negotiation of terms, and implementation of Wi-Fi services. Accuris Networks said its solution provides a GSM-architecture-based Wi-Fi service with seamless SIM-based authentication and support for largest range of user equipment. 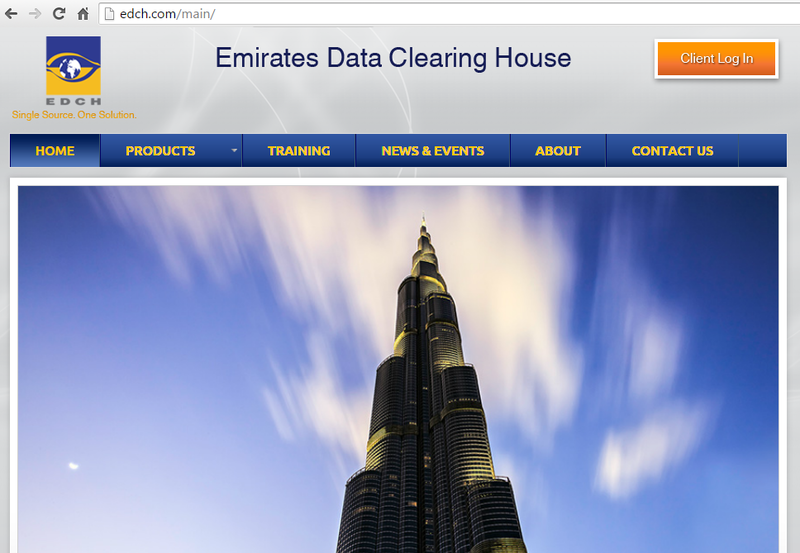 "EDCH is the regional leader in providing innovative cloud-based solutions for more than 50 carriers. This partnership is strategic to Accuris Networks towards delivering regional Wi-Fi service using our globally proven solution architecture and carrier-grade service characteristics", said Jeff Brown, CEO of Accuris Networks. "In using the AccuROAM Platform, EDCH extends our growing number of service providers taking advantage of a worldwide operator-based Wi-Fi roaming network."